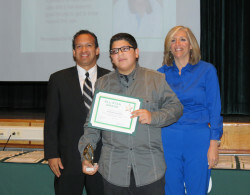 Howard Cabrera of Copiague, received the All Star Award at Oldfield Middle School in Harborfields. This award is given to students who are nominated by a mainstream teacher on the merits or character, motivation, respect, social ability as well as academic achievement. 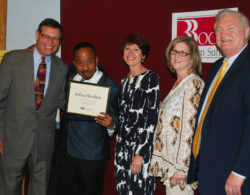 The students received their trophies and certificates in a special ceremony. Reading with a Partner… a Pug!